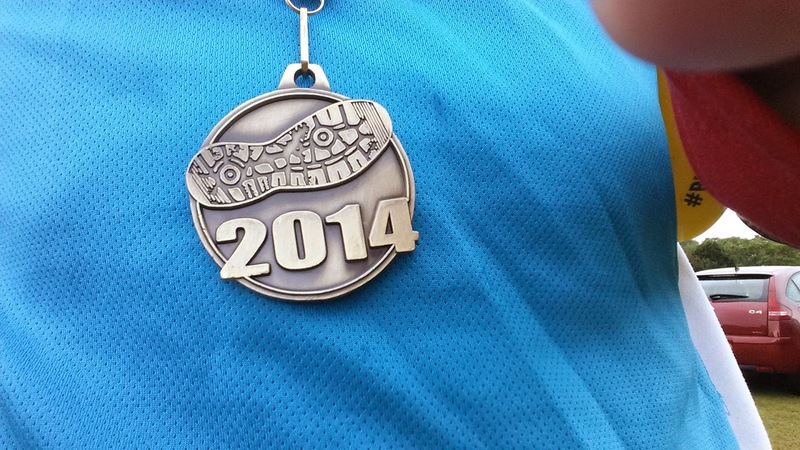 I signed up to this race for one reason - to run a new 5 mile personal best. 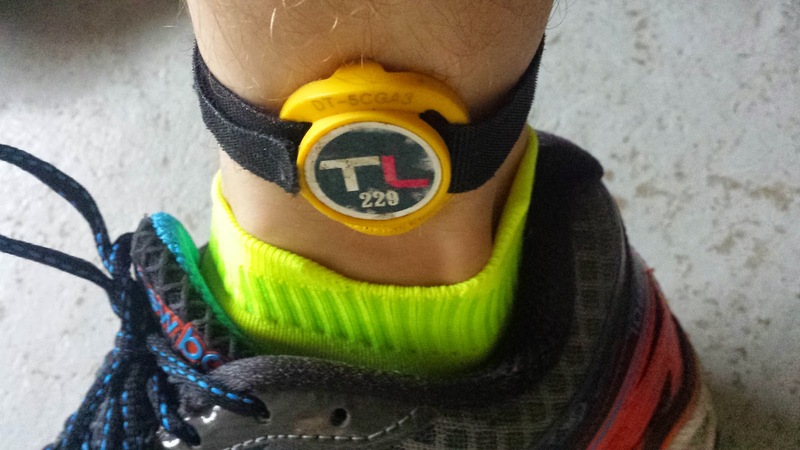 I had heard that the course was fairly flat, with just a few mild undulations, and that it had pb potential, plus my standing 5 mile personal best was run at the Fairoaks Five 2013, which is a trail race and was run in the middle of a torrential rain storm in October 2013. Beating that time would be child's play. 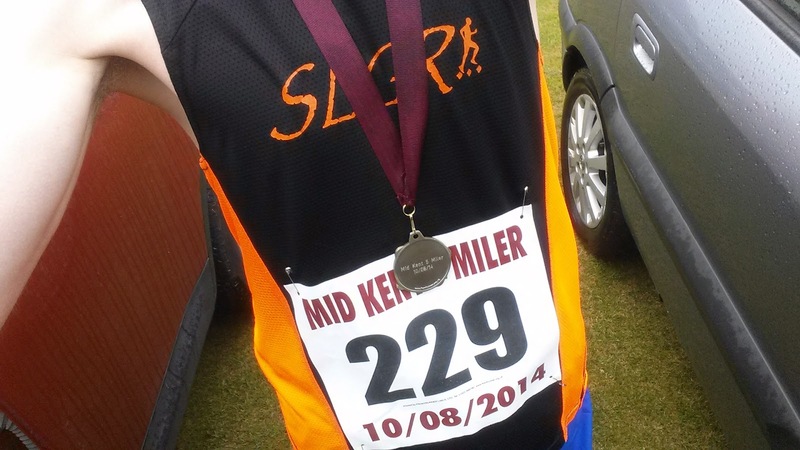 One thing about this race that is special is that it was the first one that I had entered since becoming an affiliated member of a running club, so I received a discount of £2 over the unaffiliated £12 entry fee. I signed up using the runners world website, so after they had added their booking fee it worked out that I paid £11.50. 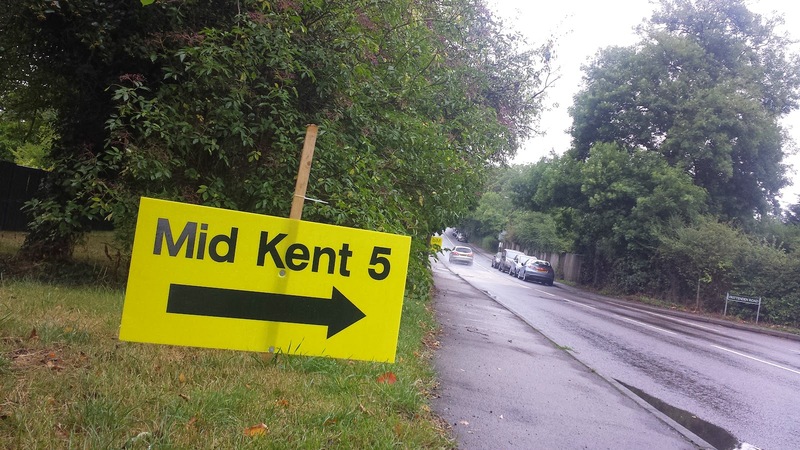 The Mid Kent 5 Miler website contained all the necessary information such as course map, parking, prizes etc.. There was also a Facebook group which I found very helpful. 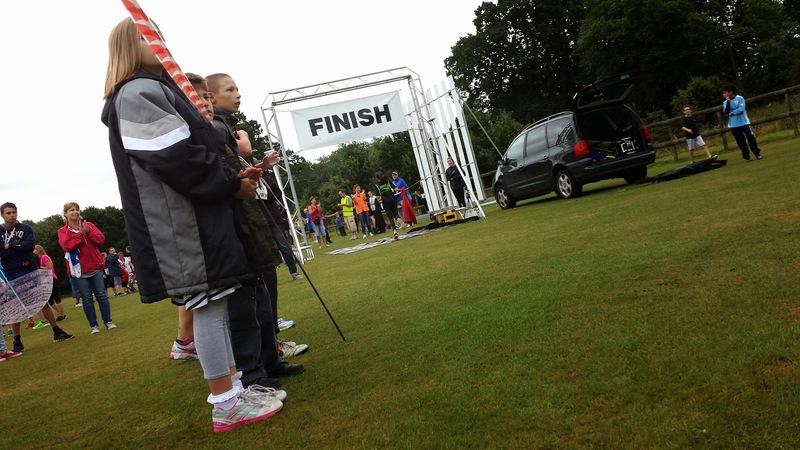 The race HQ was at the Staplehurst Cricket and Tennis club, on the day I left home at 7am and arrived by about 8am. The race start time was scheduled for 9am so that left me an hour to collect my number and timing chip, warm up, use the facilities (there were toilets inside the clubhouse and some portaloos outside), take some photos and to chat with any familiar faces I might bump into along the way. 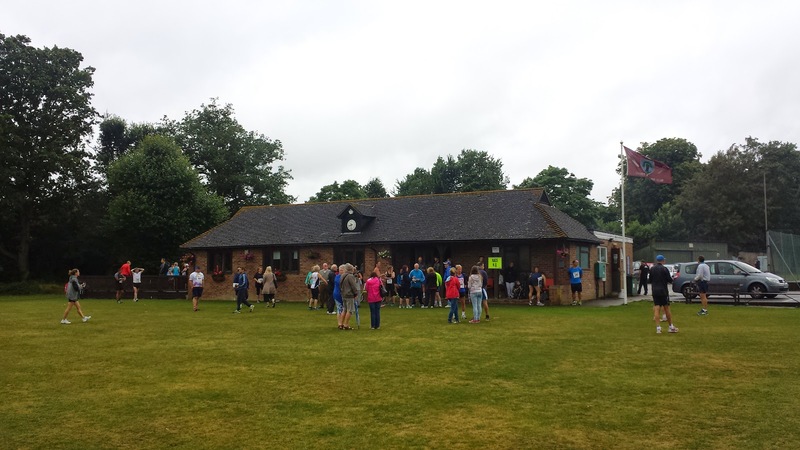 At a couple of minutes before 9am, the race director (Nick Jordan) called all of the runners to the briefing point just inside the grounds of the club. He gave a very good briefing complete with course description and warnings that the roads, while quiet, were still open to traffic. We were then lead the 100 metres or so along the adjacent road to the start line. I knew that I would finish somewhere towards the front of the field so I made sure that my starting position roughly reflected that. 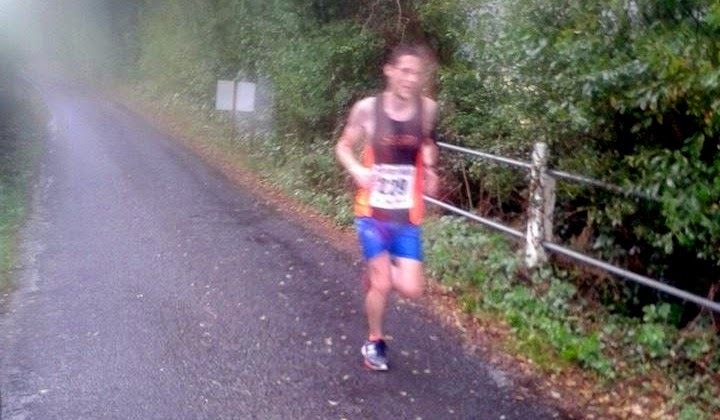 The race was then started and I headed off as part of a crowd of 247 runners out onto the country lanes around Staplehurst, which was probably quite scenic - but as you'll read in a second, my vision was slightly compromised during the race. 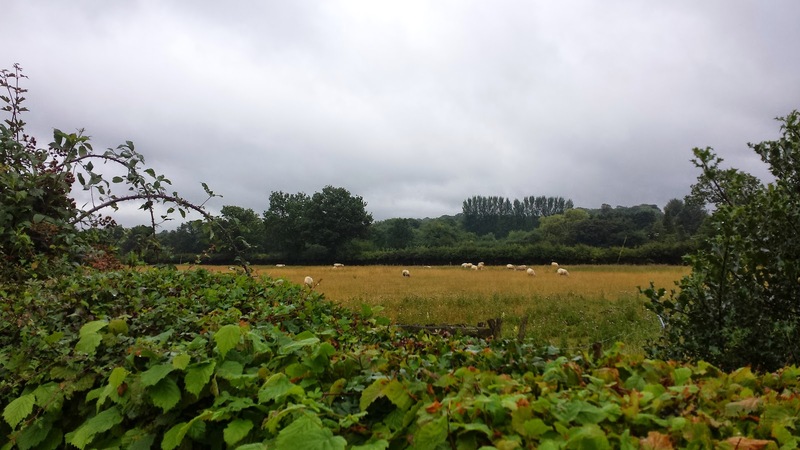 The forecast had been warning of heavy rain and strong winds - something to do with hurricane bertha apparently (another wet five miler was about to unfold), so it was a relief to find that at this point the rain was fairly light. The first mile of the race had quite a bit of position jostling going on as usual, but once that first mile was out of the way, those that had started a little too fast naturally started to fall into their appropriate paces and things settled down. 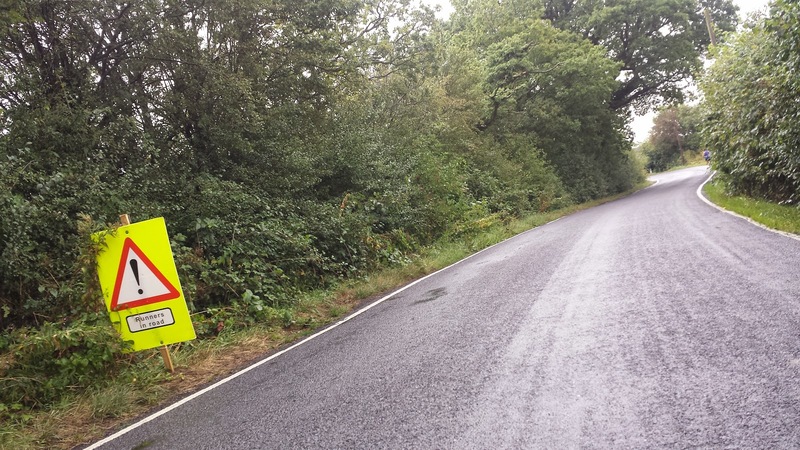 As I mentioned before, the race takes place on country lanes. 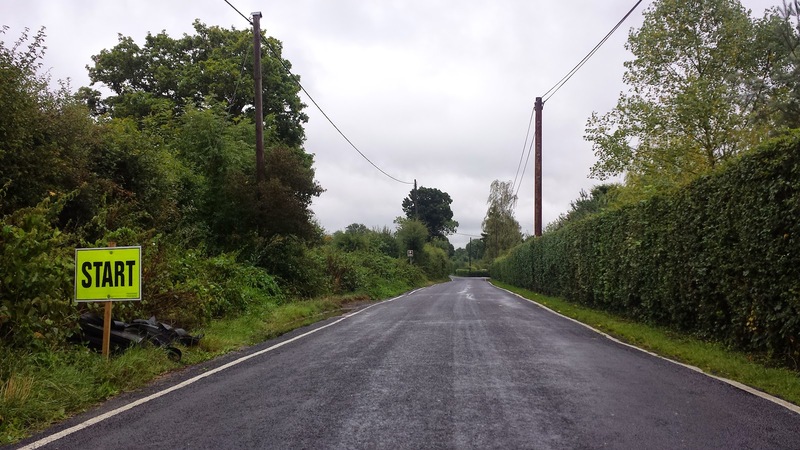 It is 99% tarmac, which is mostly smooth but some of the smaller roads are a little worn and ever-so-slightly pot-holed. 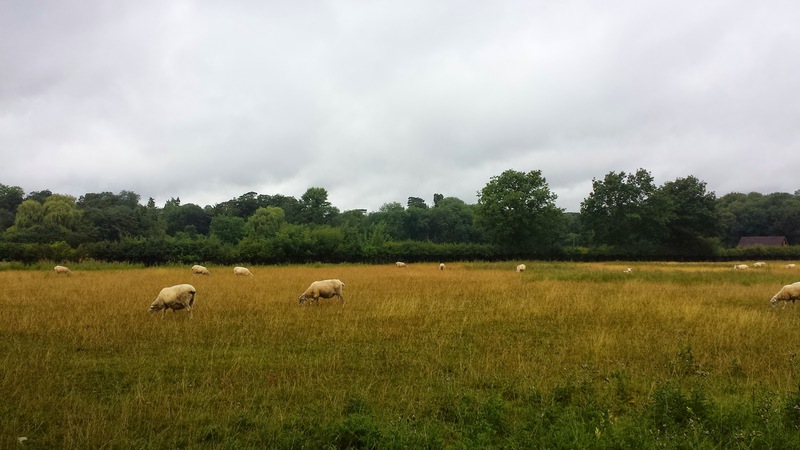 The first of the noticeable undulations comes at around 3.5km on the approach to the village of Frittenden. By this point the rain had got much heavier, my glasses were covered in rainwater and everything was now just a blur. I could only just make out the marshal and signage up ahead - both of which were excellent all the way around the course by the way. At 5.5km there was another slightly steeper section. I wouldn't call it a hill but there was a noticeable incline. Shortly after this point, I spotted Tony Giles, the event director of Great Lines parkrun with its incredibly awesome downhill finish (I have run there twice - the inaugural and the christmas day special). 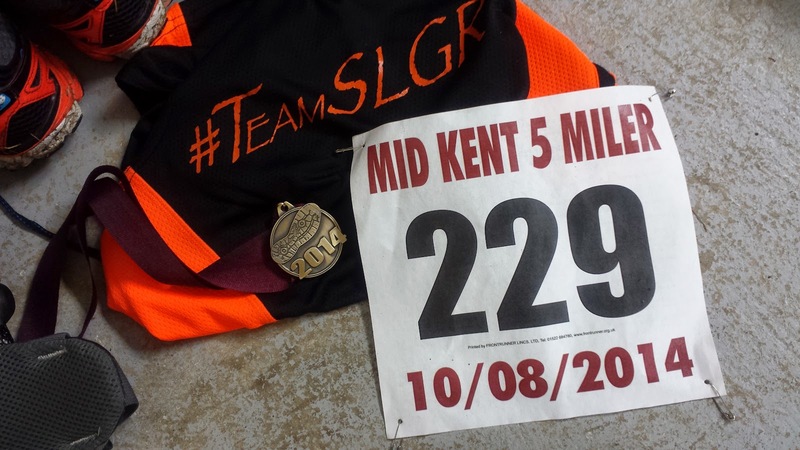 I can't remember the last race I ran in Kent where I didn't bump into him - he's a top guy and is easily spotted in his trademark hat. I had chatted to him before the race and knew that he would have his camera ready to take some snaps around the course. As I passed him, he took a picture of me but as you can see from the photo, the weather conditions didn't make it easy for him, Thinking about it, the picture looks a lot clearer than anything I could see through my glasses, so I'm really happy with it! I really appreciated the support and am very grateful that he let me use the photo on the blog. The remainder of the course was flat and before I knew it, I was running back down the road towards the cricket and tennis club. I had been following another runner for the entire race and as we neared the end I noticed that he had caught the runner in front of him and I was doing the same, but as we entered the grounds of the club he was still just too far in front to catch. The very last section of the race took the runners off of the tarmac and onto a short stretch of grass and straight to the finish line. ... however, I was dripping wet with rain water and starting to shiver, so after I chatting to a couple of other runners, I grabbed my bag of dry clothes (and my towel, which I actually remember to bring this time!) from the car and went into the clubhouse and made use of the changing facilities within. If I had been more organised, I would have brought some soap and used the showers too. 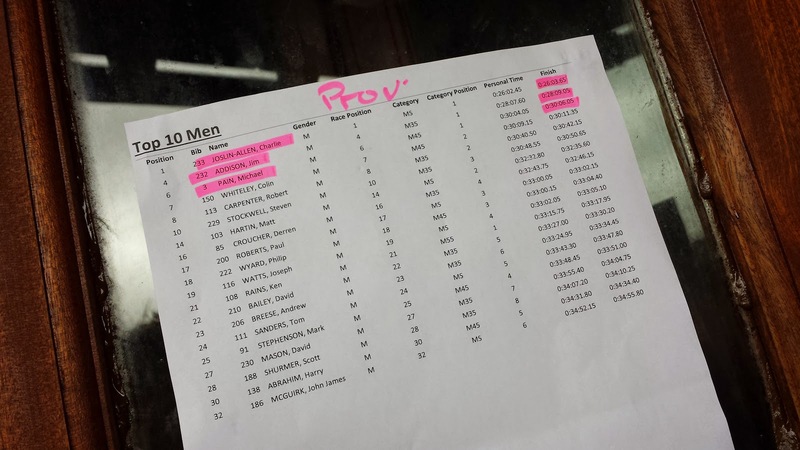 The provisional results were printed and displayed on the clubhouse door shortly after I had finished so I had a little peep at those to discover that I had finished in 10th position overall (out of 247 finishers). There were a few names missing at this stage (I imagine they were probably on-the-day entrants) but my position was correct. The official results were put online later that same day. I am happy to report that I achieved my goal of running a new personal best (no surprise there) time of 30.48, which gave me an age grading of 71.7%. I beat my previous 5 mile personal best by 3 minutes and 10 seconds. Everything seemed to go really well apart from the weather (which got even worse during the drive home), but even that brought with it its own charm. A big thumbs up to the organising team and the marshals!